Halong Bay is considered one of the most beautiful landscapes in Vietnam. Its picturesque beauty is formed from thousand of spectacular small islands rising up the water, the turquoise blue water, along with hundreds of travel ships and floating boats move on the bay every day. 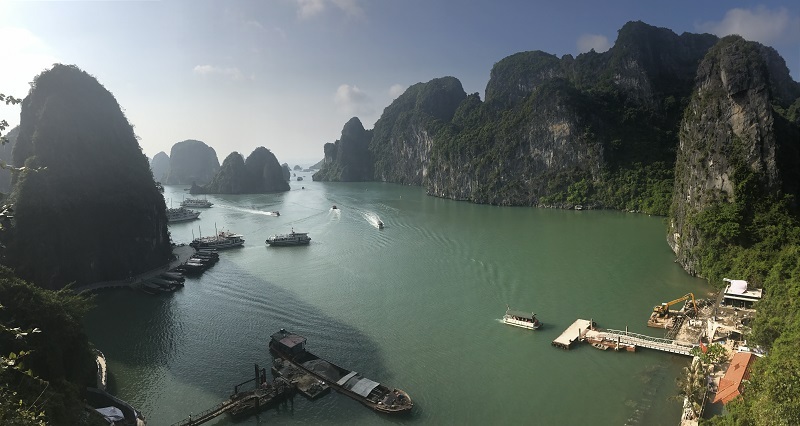 The harmonious and romantic scene between nature and people who are living and working on the bay has maked Halong Bay one of the most famous beautiful bays in the world to visit. 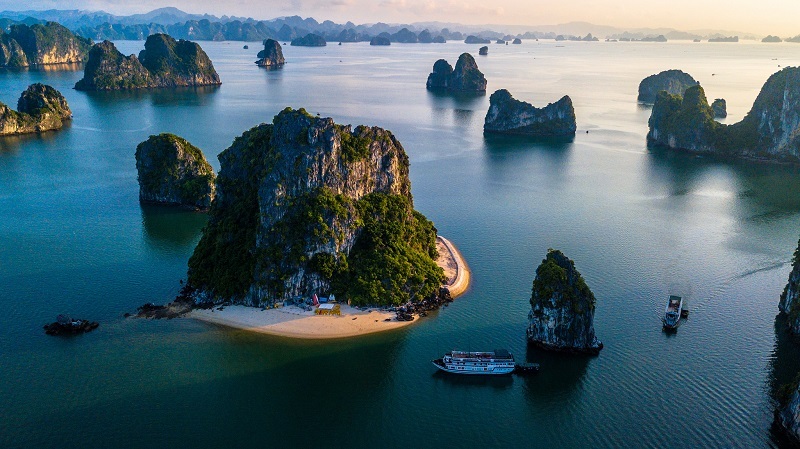 A trip to northern Vietnam would not be completed without a tour to breathtaking Ha Long Bay or the bay of descending dragons that is considered the eighth natural wonder of the world, in a country- incomparable coastal area of 1600 square kilometers with 2000 limestone islands in various shapes. This trip provides us to explore the magnificent Halong Bay within only one day from Hanoi. Here you can relax on the tanning deck, swim in the clear waters and enjoy 4 hour cruising in the bay and visit one of the most beautiful caves. 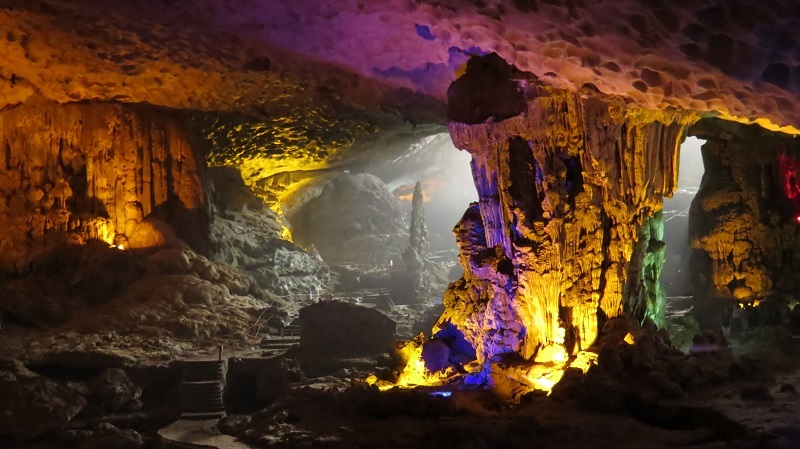 The trip allows us to safe our time and still visits the most stunning area of Halong Bay. Ha Long Bay - between dreams and reality, It is your best experience when choosing a vacation in Vietnam. The magnificent Halong Bay with our ‘all-in-one’ itinerary for those with a limited time schedule. 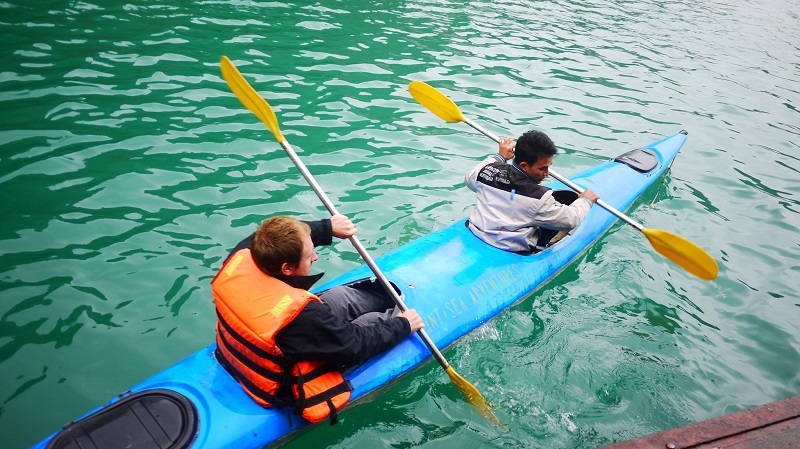 You will not only explore one of the most beautiful caves in Halong Bay, but will also have the chance to go kayaking or bamboo boat rowing, as well as visiting and interacting with people at a local fishing village. Contact us for more detailed itinerary and more advice on the journey to explore in Vietnam.